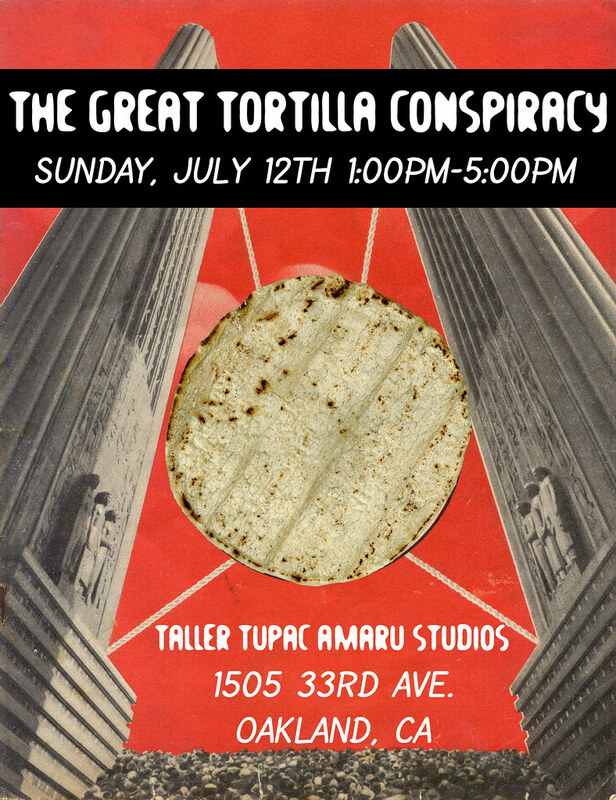 The Great Tortilla Conspiracy will be making an appearance this Sunday at the Taller Tupac Amaru Studios. We will be demoing the latest in tortilla art technology and giving away free edible tortilla art quesadillas. Our tortillas will be featuring the work of Taller Tupac Amaru Studio artists Jesus Barraza, Melanie Cervantes and Favianna Rodriguez. These will be very limited edition tortillas so get ’em while they’re hot! Plus music, munchies, and a raffle! This is a family friendly event! I thought it was going on today. Their open studio event starts today but we’ll be there Sunday. I enjoyed reading this post. I want to read more on this subject.. Thanks for writing this amazing post.. Anyway, I’m gonna subscribe to your rss and I hope you write great articles again soon. I commend the informative information you provide in your articles. I’ll bookmark your blog and have my children check up here often. I am really certain they’ll discover a lot of fresh articles in your site than anybody else! I commend the informative entry you share in your posts. I will bookmark your page and have my friends read in your blog often. I am quite sure they�ll find a lot of fresh articles here than anybody else!